Team Kennedy Regional EDAY Phone Bank--DEFEND Bristol/Norfolk State Senate Seat ! STOP TRUMP/GOP's efforts to pick-up MA State Legislative Seats! 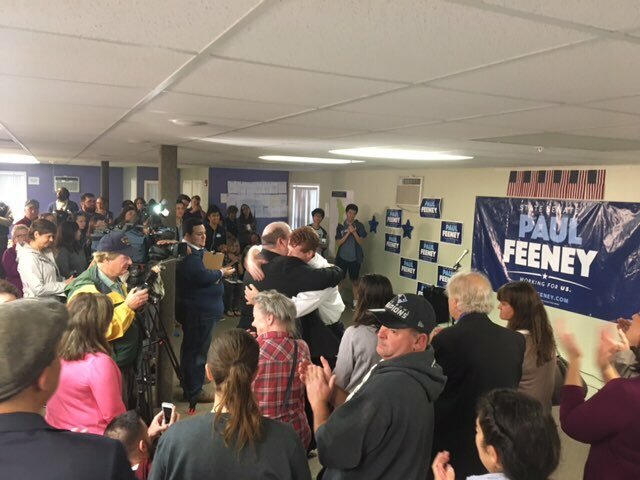 Join Congressman Kennedy and our Team in the fight to keep Trump and the GOP out of our state legislature by making calls to get out the vote for Bristol/Norfolk State Senate candidate Paul Feeney! READ why Joe supports Democratic Nominee Paul Feeney! Congressman Kennedy is counting on YOU to keep this State Legislative seat BLUE! Join us on Tuesday, October 17th at Team Kennedy's Regional Election Day Phone Bank in Newton, MA!